Warn Brand is known all over the world as the producer of the high-quality winches for SUV and trucks. However, they manufacture not only winches but all necessary accessories for the great off-road experience. And Warn winch bumper and mount systems can prove this by providing off-road enthusiasts with completely new fantastic opportunities. Warn company produces several lines of the front and rear bumpers. The most popular series are Ascent front and rear bumpers and Elite Series bumpers for the Jeep Wranglers. Ascent bumpers, as well as Elite series, are winch ready. This means that it is possible to use any Warn winch up to 12,000 lbs. It doesn’t matter if you have installed first the winch or the bumper. In case, you want to mount a winch when the bumper has been installed already, the good news is that reinstallation isn’t necessary. Warn company has take care of all smallest details have made the process of bumper installation user-friendly. All step-by-step instructions are included in the package as well as all tools that you will need for the bumper installation. All bumpers of Warn have welded recovery points, which are ready for D-shackles. If before you have had corrosion issues, then now you shouldn’t worry about paint peeling and corrosion as all bumpers are well-protected thanks to the black durable powder coat. According to the tests that have been done, the coat is able to withstand salt spray. Acceptance of all Warn winches with the pulling capacity of 12 pounds and under. Recessed ports and mounts for factory lights. One may get a bumper version of the welded-on grille tube if want even better protection of the front-end. However, this one fits only JK. Which Warn Bumper to Choose? Choosing the Warn bumper for your truck, you should keep in mind certain things. 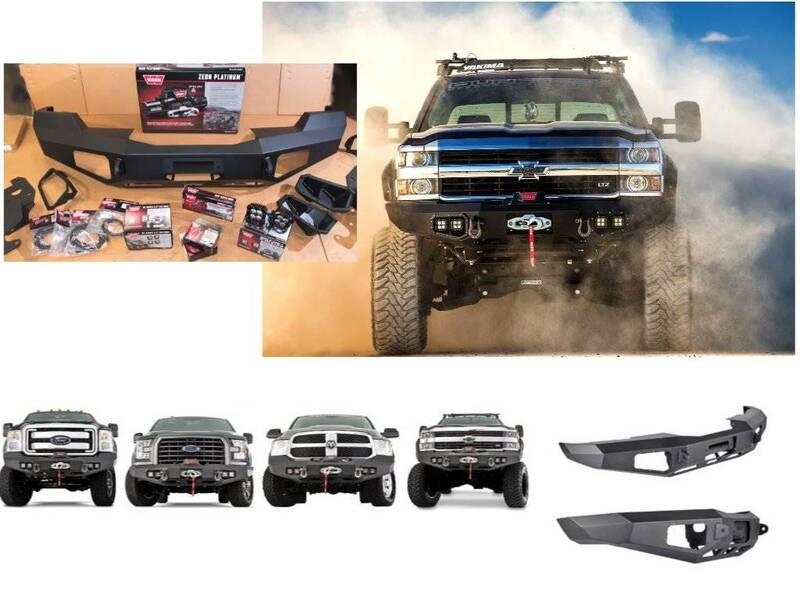 In case you own Chevy, Dodge or Ford trucks and want to have a winch with a large capacity, then you should consider getting Warn Heavy Duty Bumper made of steel and suitable for the accommodation of the oversized tires. In case you have either Ram, Super Duty, Chevy Silverado or Ford models you can choose Ascent bumpers. The only thing to take into account is the year of your vehicle production as they don’t fit completely all models of the mentioned car brands. The key features of these bumpers are low-profile styling and top performance. 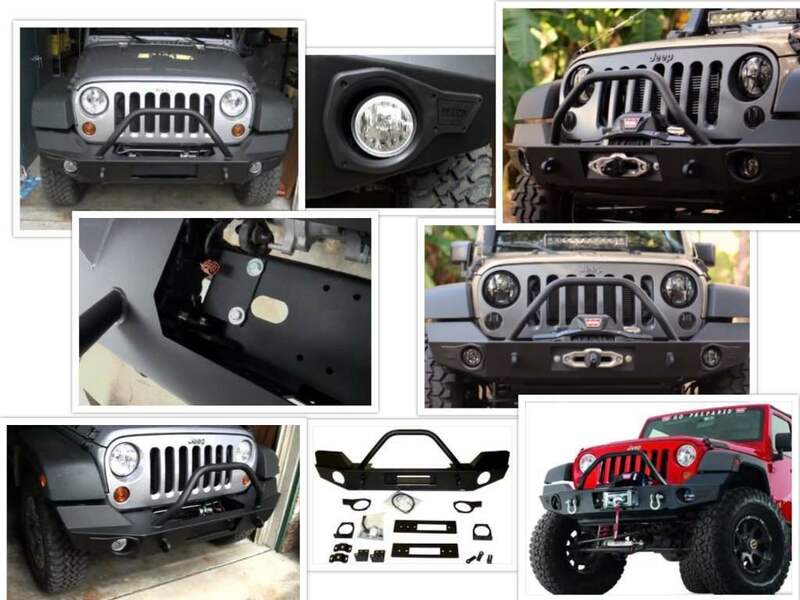 If you drive Jeep Wrangler, then the best deal ever will be the bumper from the Elite series line, which has been designed especially for this vehicle. Strength and perfect style is what is guaranteed when you get Warn Elite series bumper together with Warn winch. Is the bumper of American producer a Good Choice? If you are looking for the solid high-quality construction, which looks great, then you won’t be able to get the better bumper than those offered by Warn. This company has already proved that all their off-road accessories are of top quality. One of the Warn winch bumpers may become the best deal ever for those car owners who know the value of money as Warn offers long durability and highest performance.